Silent Sky Project#12 May 28th 2006, 10.45 – 11.15 pm, 8 participants, Tel Aviv, Israel. A group of friends living in Tel Aviv participated in a silent conversation with the sky. 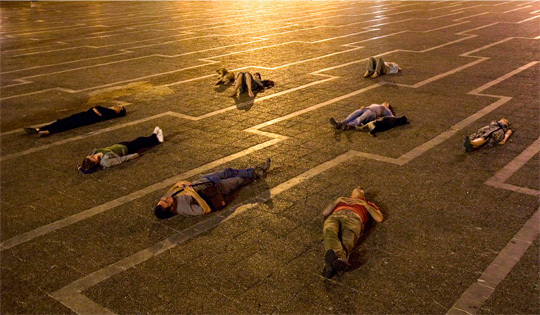 The location is the Rabin square in front of the city hall. Pictures of the show in New York City, USA. In the Makor Gallery, sept.10 until oct.20, 2006. 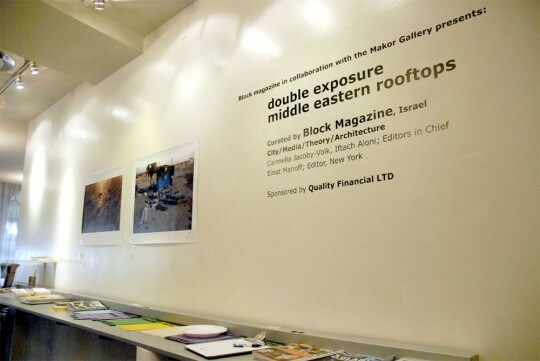 Two large prints of the Silent Sky Project# in Tel Aviv, Israel and in Bilin, Palestine. 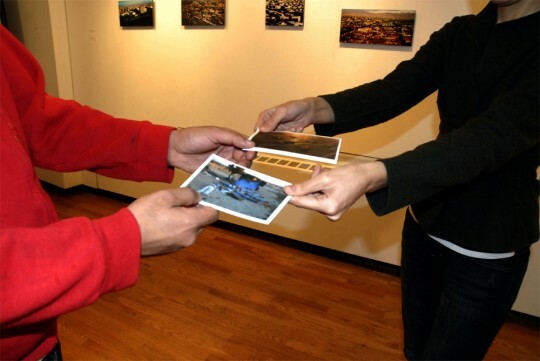 Two thousand postcards were printed and handed out to the public. Thanks to, Einat Manoff, Carmella Jacoby-Volk, Makor Gallery, curated by Block Magazine.